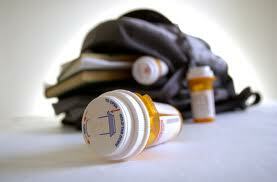 Home / BLOG / Can Parents Prevent Teen Substance Abuse? Can Parents Prevent Teen Substance Abuse? Recent studies show that parents may have more influence over teens than they think when it comes to substance abuse. The Substance Abuse and Mental Health Services Administration, or SAMHSA as this agency is often called, recently released a report that should give parents some hope. Over 20% of the parents interviewed believed that their influence mattered when it comes to preventing substance abuse but this is not the case. Less than 10% of parents reported talking to their kids and teens about the dangers of drugs and alcohol. Numerous surveys have shown that when parents talk with their kids about the dangers of drugs and alcohol then teens are less likely to engage in these behaviors and more likely to resist peer pressure. One surprising statistic shows that almost 68% of parents think that talking with teens will help the kids keep away from drugs or alcohol, but 10% of parents do not take this step. If your teen has a substance abuse problem or they have difficulty standing up to peer pressure your words as a parent could have a huge impact on the outcome. When teens between the ages of 12 and 17 believed that their parents would strongly disapprove of alcohol use or smoking marijuana the teens were less likely to give in and participate in these types of activities. If your teen has a substance abuse problem then immediate help and treatment is needed to keep the problem from becoming worse. The round involving applause for the report.Really looking towards read more. Much required. Really value an individual expressing this article.Many thanks.